An intensive treatment that incorporates steaming, extraction and hot towel compresses, alongside facial massage and a freshwater mud mask, leaving a super clean and fresh skin. 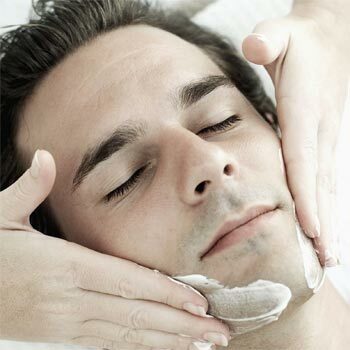 This facial is a tribute to the classic gentlemen's barber shop, where steaming hot towels and massage are staples of the experience. A refreshing deep cleanse and thorough exfoliation lead to total relaxation as the stress and tension are worked out of his neck, shoulders and scalp. End off with facial massage and a freshwater mud mask, leaving a super clean and fresh skin. SPA C HYDRAFACIAL is the only procedure that integrates cleansing, exfoliation, extraction and hydration simultaneously. A deeply restorative facial using tulsi, jatamansi and vetivert oils combined with ancient marma massage. When time is short and you need to look your best.